The Lubricant Store sells MobilTM compressor oils from the Mobil Rarus SHC series as well as the Mobil Rarus 400 series - both performing better with cleaner compressors and lower deposits compared to conventional mineral oils, allowing your equipment to run longer between maintenance and reducing down-time. Using compressor oils on food and beverage equipment? 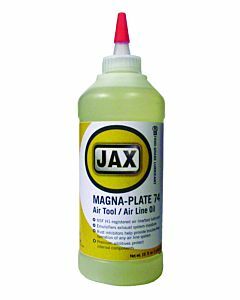 The JAX Compresyn 405 food-grade compressor oils extend drain times while maintaining NSF H1 designation. If there is a Mobil or JAX compressor oil you would like to buy online in a case or pail and you are not finding it on our site, use our online submission form to let us know.